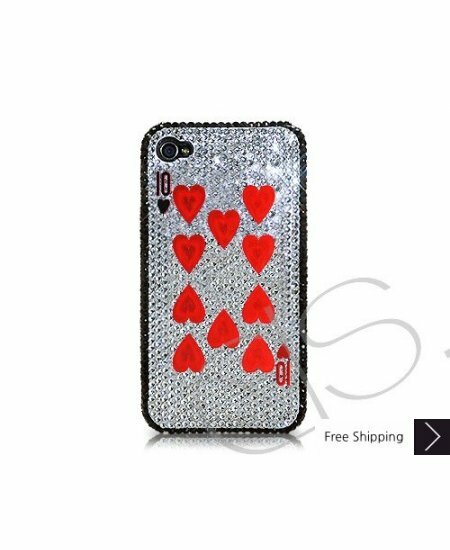 Poker Heart Ten Bling Swarovski Crystal iPhone XS and MAX iPhone XR Case is handcrafted which make this the most luxury and prestige product. Every single pattern is a collaboration between our designers and craftsman. You will not find an identical case as yours even for the same pattern as they are all hand made. I love it! I get so many compliments on it!! It came in the mail on a prompt time and looks even better than what I pictured! Thank you! the item its self is nice . I like this crystal case cover. but it makes my cellphone heavier.